For those of you astute enough to notice, voting changes nothing, a protest, picket, or blockade is more likely to get some positive change from the state. So what do you know the state wants to effectively remove that mechanism in Victoria. In Victoria plans are afoot to expand police move on powers to include protesters. The no general move on during a protest, is effectively what allows a protest to occur, even now police will issue a move on knowing protesters have the right to refuse to move on and every right to protest. Police will even assault and drag away protesters despite protesters having the right to stand their ground. For any protest this is GAME OVER. Your last remaining political voice is almost gone and likely with a hefty fine attached to it. Corporates merge with the state and then crush all possible opposition, nothing against the State (corporation). 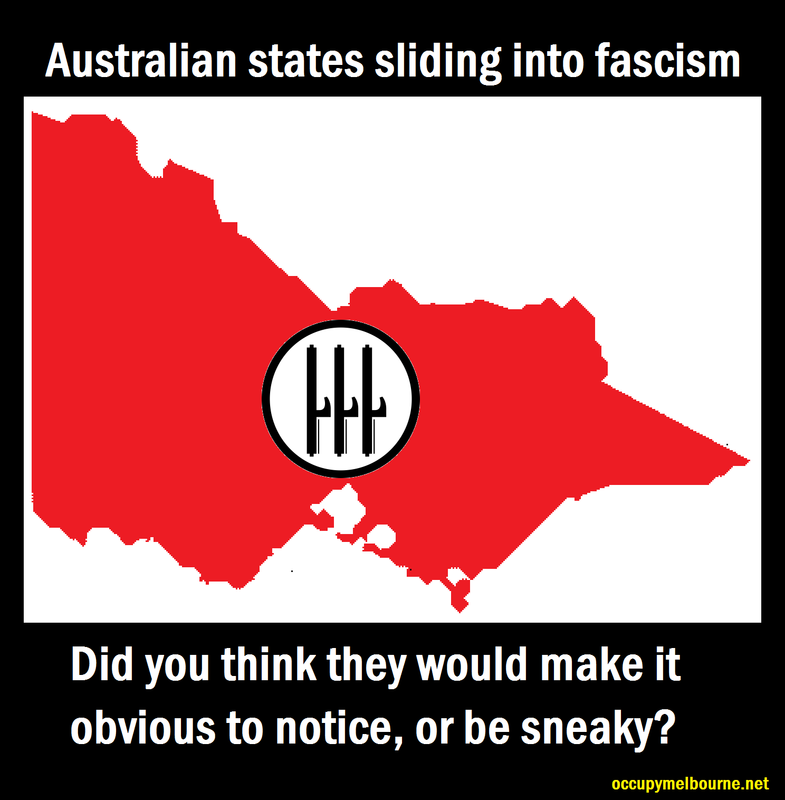 Posted on December 22, 2013, in Australia, Consiousness, Fascism, Law & Government, Meme, Police, Politics, Quotes, Victoria, Victoria Police, Whistle Blowers and tagged fascism, Police powers, Rigth to protest, Victoria. Bookmark the permalink. 3 Comments.